Toop&Toop Blog: 3D Real Estate...an entirely new era has arrived. 3D Real Estate...an entirely new era has arrived. 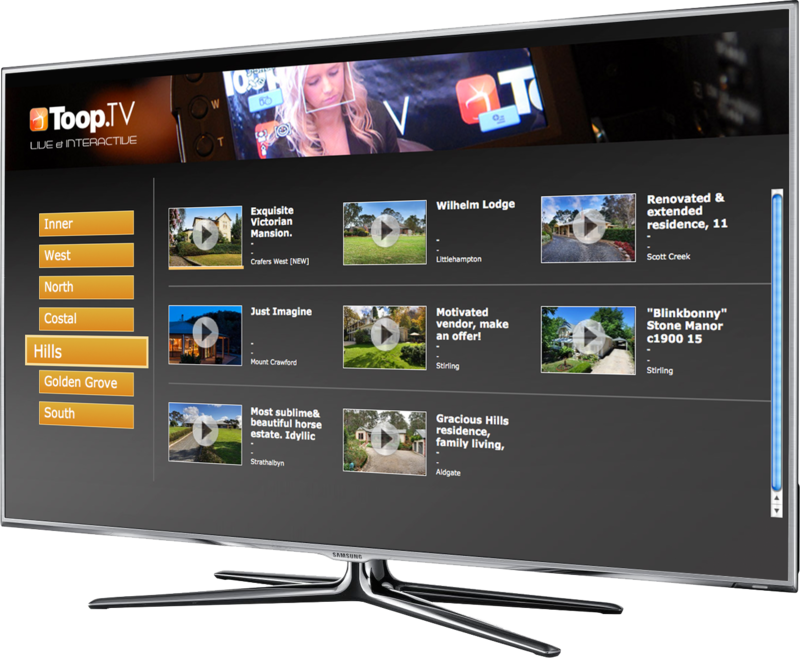 Smart TV owners, finally you have local real estate content where you can don the 3D goggles and watch Adelaide’s finest homes in a world first...real estate TV in 3D. On our test productions I must say I was nervous but the results are simply amazing. We are off and running… 3D real estate is here now and here to stay. all the properties for sale, with just a remote control - real estate agents’ lives would change. I never dreamt it would be more than flat pictures, as 3D was only ever seen with those clunky readers you held up to the light to see dinosaur images. In 2010, we started the first real estate TV live broadcasts, and launched video products never before used in real estate. In 2012, we launched ‘Video All’ where pretty much every property had a video. This was to capitalise on the 400% increase in buyer engagement using online video for our clients. We went from a full-time video team of two - to four. Our online statistics dominate. Smart TVs have begun to take over in the sale of big screen TVs and the switch to digital will only push this harder/faster. Most Smart TVs have 3D capability. I see this as a game changer for the real estate industry on three counts. The quality is incredible, the speed is near real time, and to see property in 3D is the closest you’ll ever get to a real inspection with out stepping foot inside the house. Think about it? Reality property inspections 24/7 from anywhere in the world. Weekends freed up, traffic through homes almost eliminated, and personal viewings reserved for the final decision making process...and it’s already happening!! OPPORTUNITY: Toop&Toop had an opportunity to break yet another world first. We actually tried to go 3D last year but ran into all sorts of snags. We had to invest in more hardware, software and no one could advise us because no one had done this. 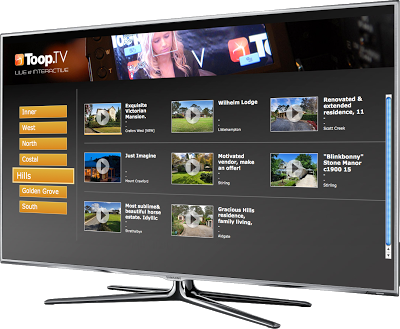 In the process we developed the world’s first Smart TV app for real estate. We called it SmartRealEstate (SRE). If you have a National Panasonic Smart TV, download the app and try it. For all other smart TVs, open the YouTube app and search “sre.tv” and away you go. your 3D on your new Smart TV, you may need the kids to find the right settings, but it is easy and only takes a few seconds. SUMMARY: Communication is changing, eye balls are moving...the rules are changing. iPads and smart phones have only just begun their role in changing all the rules, now it’s video and 3D to turbo charge the opportunities! Just another unbelievable real estate resource that once set up is cheap, is exciting, has global reach, and displays your properties better than anything I have ever seen...try it. PROUD: Real estate is changing and we are achieving amazing world first stuff right here in Adelaide! Tell all your friends, be parochial, and be proud. Toop’s Tip: All agents are NOT the same, despite what you may get told.